The decision to engage with local government was prompted by recent legislation being largely influenced by public and media campaigns without sufficient input from material and industry experts. At Palagan, we recognise that broader stakeholder involvement is essential to create meaningful legislation that delivers long term environmental sustainability. Andrew Selous MP visited our manufacturing plant, Dunstable, to learn about recycled material capability. 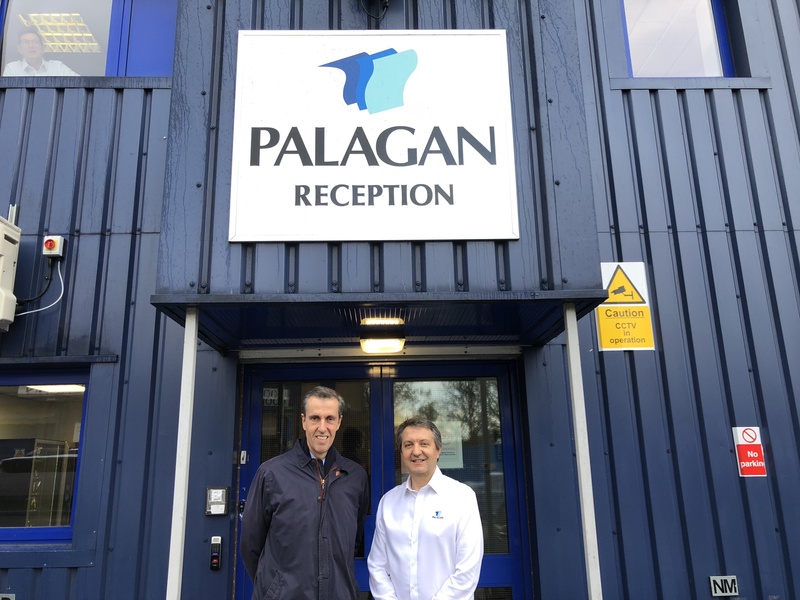 The Palagan team explained how polythene films supplied to food contact and pharmaceutical applications have strict legislative compliances that must be met. They agreed it is important for government to engage with the Food Standards Agency to understand the compliance requirements and how the impact of inclusion of recycled raw materials into products with compliance requirements would be impacted. "As industry experts, we have offered to help government understand the broader and complex issues surrounding the plastics debate. By working together with industry and government, we will be sure of a successful outcome where businesses and consumers take equal responsibility for the use and recycling of plastics. ", stated Simon Barton, Palagan's Managing Director.